We got a dog. Her name is Bona. She is a very lovely dog. She is also very clever. She does not bite, she does not bark, she does not shed, and she does not jump on you. She is also very obedient. This is Bona and Max. This is her grandmother and mother. Would you like a dog like Bona? We have a yard. It is fenced in. It’s good to have a fenced in yard when you have a dog. Especially when you have a big dog. When you have a yard you can let the dog out in the yard and it will run and play and it will come inside calm and it will lay down and not bother you. Bona is a Giant Schnauzer. She’s not big. Do you think it’s good we have a fenced in yard? We have four yew trees in our yard. You can make a great longbow out of wood from a yew tree. Yew trees are excellent for shade. Max loves to climb our yew trees. He climbs them all the time. We have a tree house in our yew trees. Here is a picture of a yew tree. 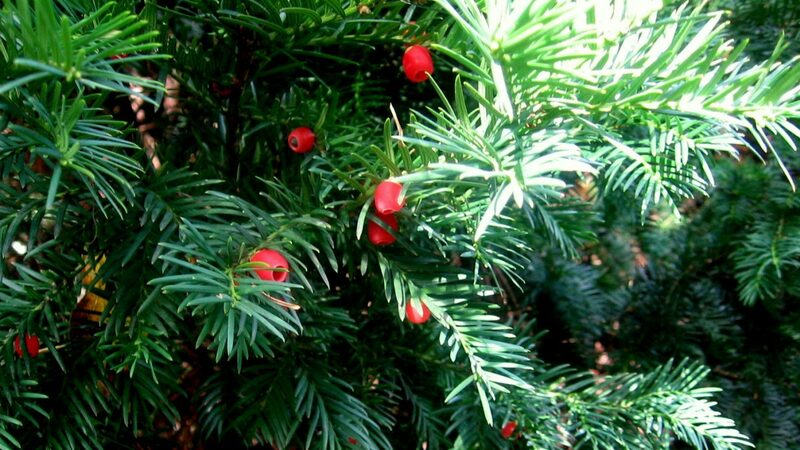 Yew trees are extremely poisonous. The leaves are poisonous, the bark is poisonous, the wood is poisonous, and the dry wood is even more poisonous. The berries are not poisonous. The berries have one black seed in them that is the most poisonous part of the tree. If you eat three berries with the seeds you will die. Bona is sitting on our doorstep. The yew tree is behind her. It looks innocent. One day I saw Bona chewing on branches from the yew tree. Bona peed in the entryway. She peed in the living room. She peed on her bed. Then she had lunch. Here is a video of Bona peeing. I looked up Yew trees on the Internet. Do you know what I read? I read that yew trees are poisonous. Did you know that I have a PhD? We took Bona to the vet. He was very helpful. He told us that yew trees are very poisonous. He did blood tests and told us that Bona is poisoned. He said we should not let her chew on yew branches because they are poisonous. The vet said Bona needs a special diet. She can only eat meat. He said we should buy a side of beef. Do you think that’s funny? Bona is well now. She can eat dog food. She does not pee in our house. Bona misses the vet. He is nice but I do not miss him. Bona does not go in the yard by herself. She does not run and play in the yard alone. Someone is always with her. We like Bona. We spend a lot of time with her. We spend more time with her than we thought we would. We do not like Yew trees. Yew trees are protected. You cannot cut them down. They will put you in jail. Do you think that is ironic? Actually, Todd, I do think this is rather funny and a good illustration of the curve balls life throws our way when we think we have it all figured out. Todd, if you ever need a break from theological writings, you really should consider writing children’s books. Hannah, Sarah, and I cracked up at the insights you’ve acquired from your recent foray into the adventures of having a dog. 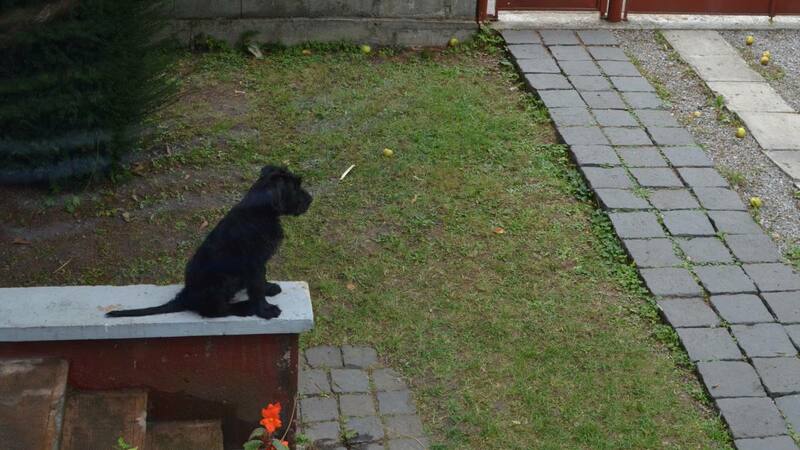 Hey Todd…..I think your story is hilarious as long as the dog is in your yard! I learned the hard way with a beagle I got from the pound. Feeling good that I’d saved her life, and not realizing that Beagle’s are hunters, after all, for the next 7 yrs. I walked her down the road on a leash, 3 times a day, no matter what the weather. The thing that got me, was that we had 30 acres for her to roam, but Beagle’s follow whatever scent they pick up no matter where it goes. But, you love them anyway! Do you like decorative yard bushes of yew descent? Does your neighbor trims his bushes? He should not throw them in your pasture. Cows like the leaves more than grass. They can find them easily. The vet can tell you why the cows died. Yew trees are very poisonous. I need to install some sort of application that allows me to star comments. We just lost our beloved Ruby. She was a beautiful, gentle, placid Cockerpoo. She never bit anybody, and was a friend to everybody. 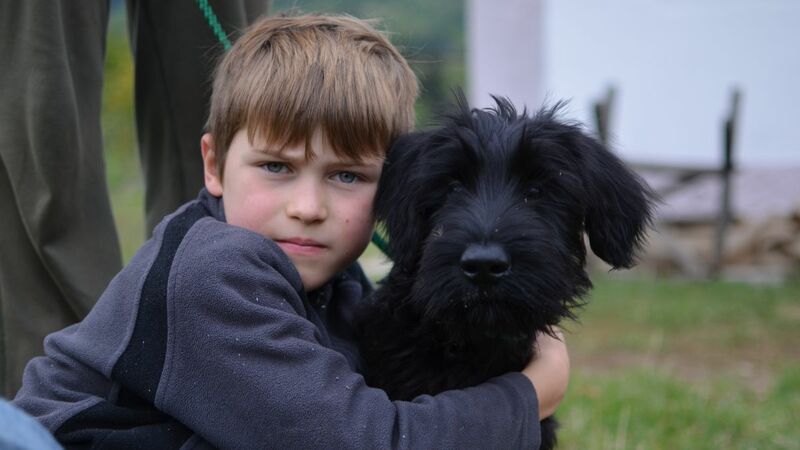 She died last weekend, and now her mate, George the Cockerpoo is poorly and in hospital too. We only just realized that it was probably yew poisoning. There’s been a wall built in the garden recently and I had forgotten there were yew shrubs which must have just been dug up and trampled by the builders. Our babies must have chewed on some random twigs which happened to have been yew. We are both devastated with grief and guilt. I don’t think we will ever get over it. George might recover now that we have passed on the information to the vet that there has been yew debris in the garden. I’m very sorry to hear that, Nigel. I hope George recovers completely. Bona was just a puppy when she chewed on those twigs and I’m glad we caught it in time. She’s been a wonderful dog and an important part of our family. I felt guilty (and stupid) when I realized what had happened. I was also struck with terror because our young children had a tree house in the branches of the yew trees and could very easily have eaten the berries if it had occurred to them. Bona’s incident helped us take precautions against a much worse accident. In England, yew trees were always planted in church yards so that farm animals would not graze on them. The trees were needed for bow making.